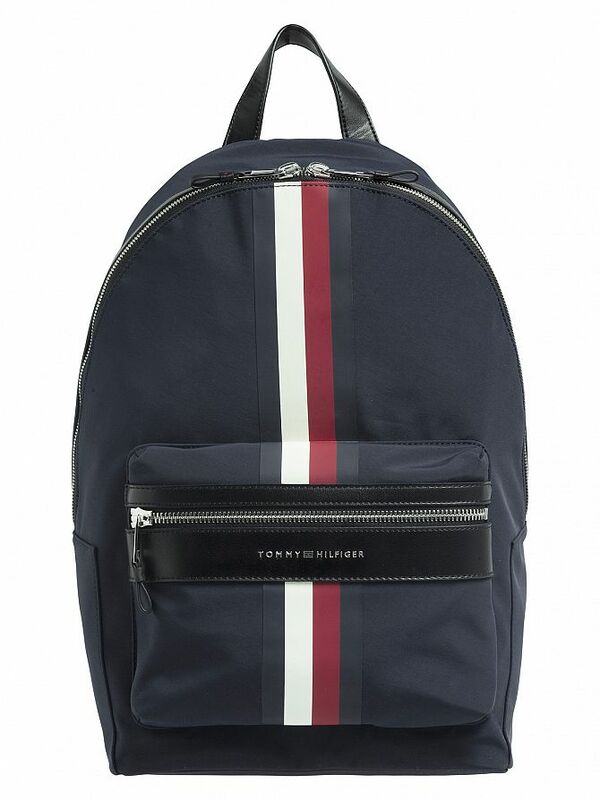 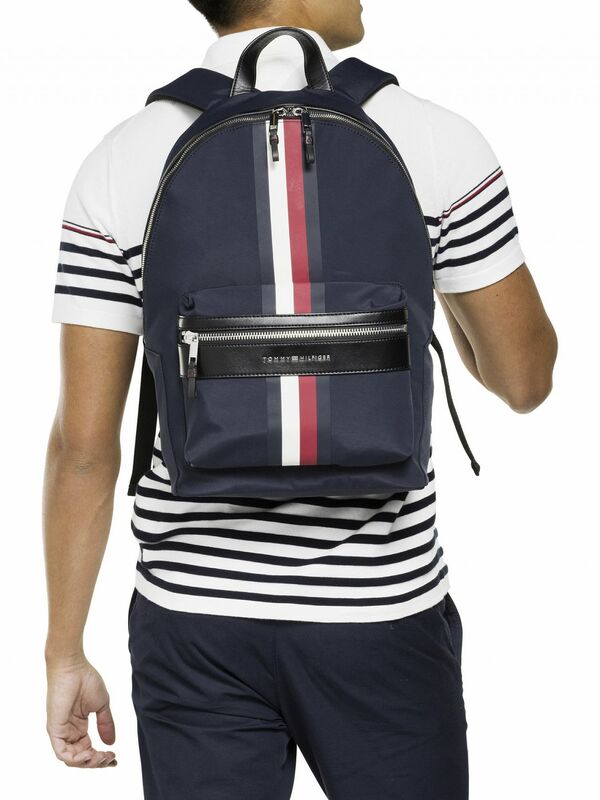 The Elevated Backpack from Tommy Hilfiger comes in Navy colour, featuring a main zip compartment with a laptop sleeve inside with a Velcro strap and an open smaller sleeve in front of it. 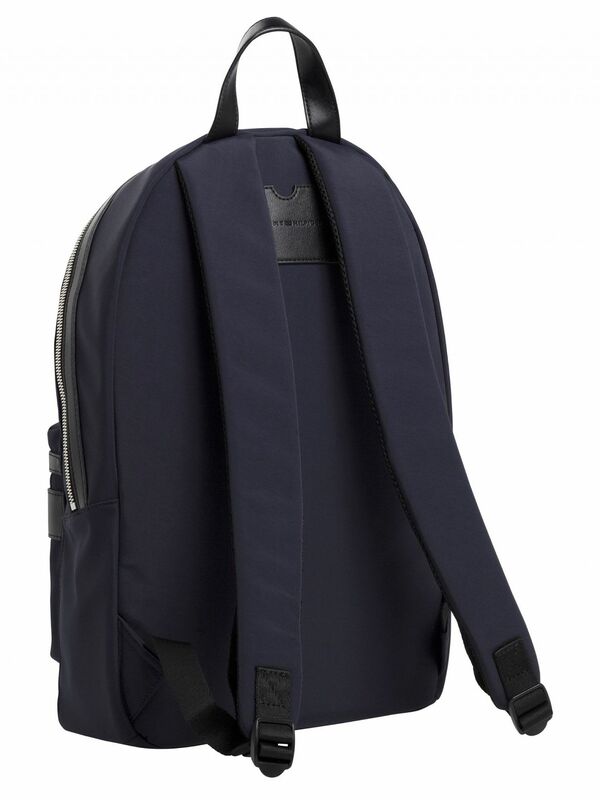 This backpack also sports a front zip compartment with a metal logo on it, as well as adjustable padded straps. 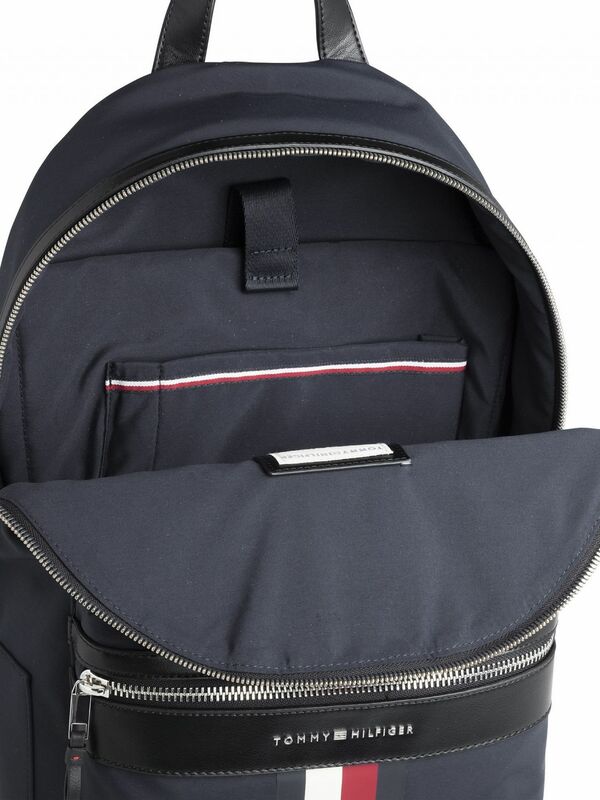 Size: 28cm x 14cm x 47cm.